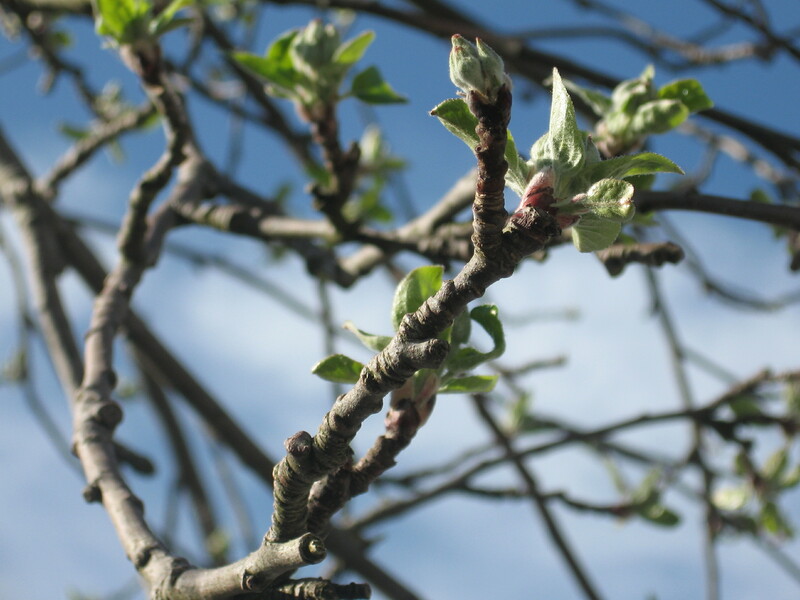 Here are photos of the apple orchard, taken April 18th. 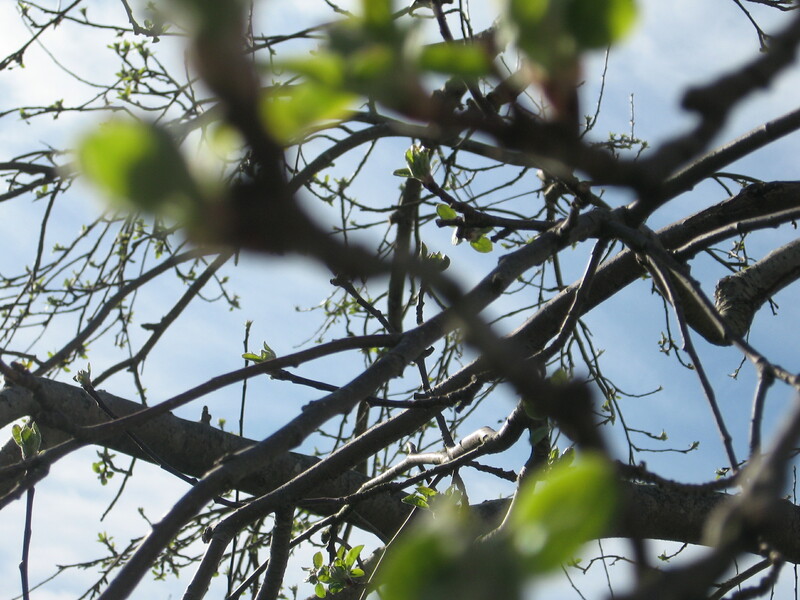 With the very warm March weather, we are about three weeks ahead of a “normal” spring. 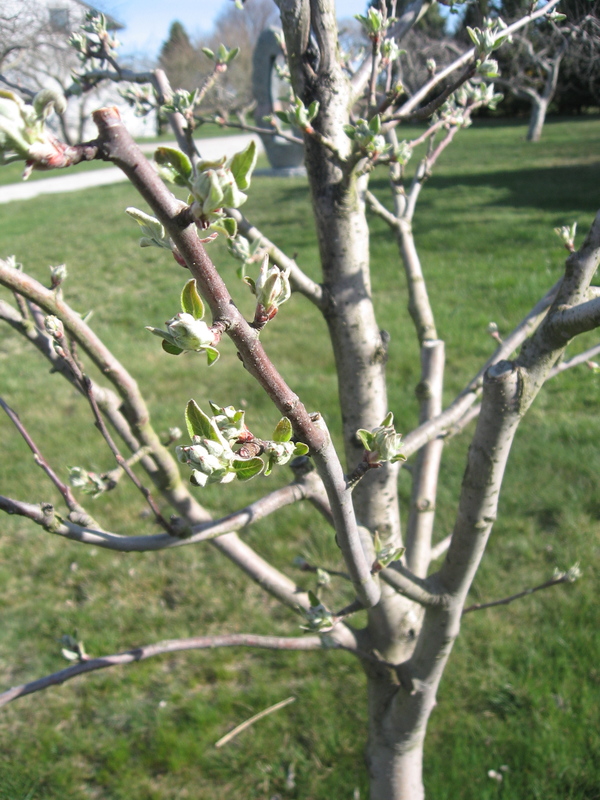 The buds are currently in the “half inch green” and “tight cluster” stages.